(By Chris Moore) -- About the only fact that is clear in the whole “climate change” debate is that global temperatures ebb and flow like tides, only over the course of years. As government grows ever bigger so that there are ever increasing numbers on the public payroll whose fat paychecks and benefits are dependent upon its largess, the hysterical bleating and elaborate swindles designed to extract from the hapless taxpayers the ever increasing operating funds necessary to sustain it grow exponentially in both number and sophistication. The orchestrated pandemic “global warming” hysteria may be the most sophisticated scam in terms of ambition yet (following upon the heels of the orchestrated “war on terror” hysteria). I wouldn't be surprised if most of the “consumers” and defenders of global warming theory have their hands directly in the public till in some way, shape or form. University bureaucrats and professors, for example. 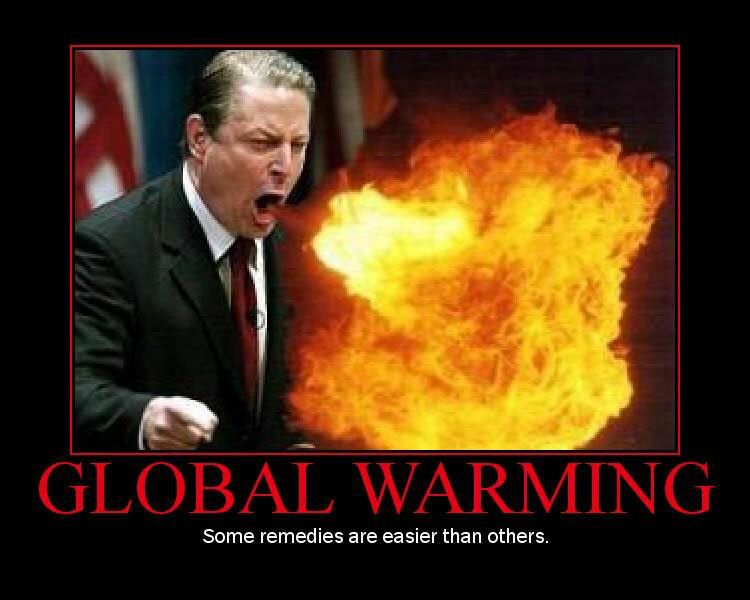 They then use their "authority" to declare that man-made global warming is a reality. Not a bad grift for the Marxist-shyster types who go in for those kinds of things.